We are friends of The Wallace family, supporting them in their search for their missing daughter Sara Zelenak. She was last seen running from the terror attract during the horrific siege. There has been no information to her wear abouts, and we need funds to help with the search. There is a missing persons registration and everything is being done to locate Sara by the authorities. The funds raised will be used to get her mum and dad from Australia to London and accomodate them while they continues to search for their beautiful daughter. Every little bit will help in this tradgic situation to bring Sara home. 9 news are reporting also. 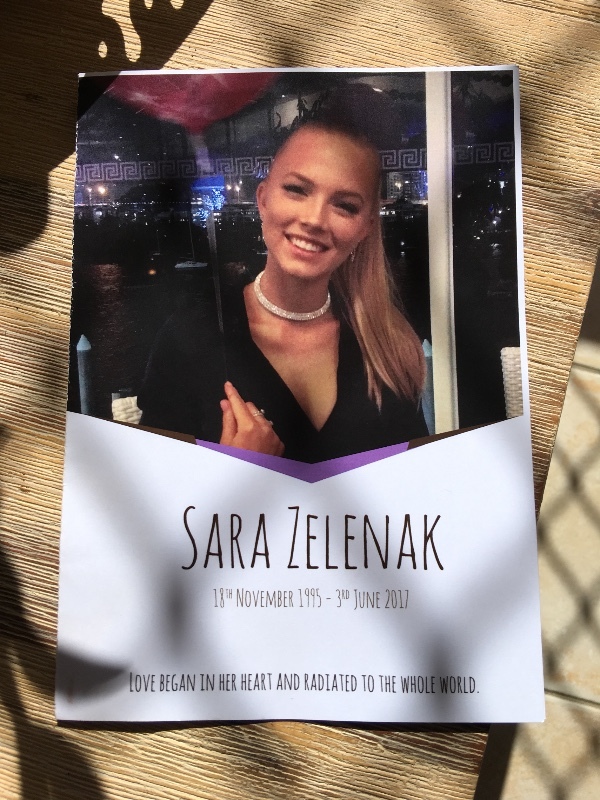 Today we celebrated Sara Zelenak's amazing life and laid her to rest. On behalf of the Wallace Family we would like to take this opportunity to Thankyou all for your kindness, support, and generosity during this difficult time. It's wonderful to be part of such a loving community. We would like to take this opportunity to Thankyou to each and everyone who have been so generous, kind and supportive to the Wallace Family in this tradgic time. The sad loss of Sara has bought a community together that express all of the above still exists. We have closed down the Go Fund You now. Thankyou all for caring. We will keep you all updated. Due to overwhelming response and based on the resent confirmation of the devastating loss of Julie and Mark Wallace's loved daughter Sara Zelenak in the recent terrorist attack, we have decided to reopen this Go Fund Me to allow those requesting to support them to be able to do so. We so value you all and are grateful for your support.